We dispose of hydraulic elevator, crane, electronic weighing scales and dynamometer that allow us to offer the very best for your shipments. 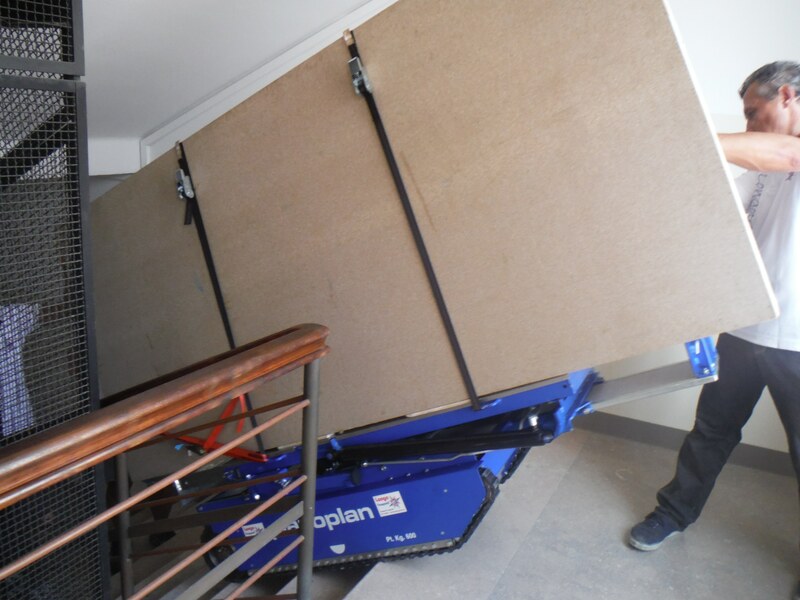 We dispose of an elevator caterpillar that allows us to transport material on surfaces previously inaccessible with the traditional elevators. 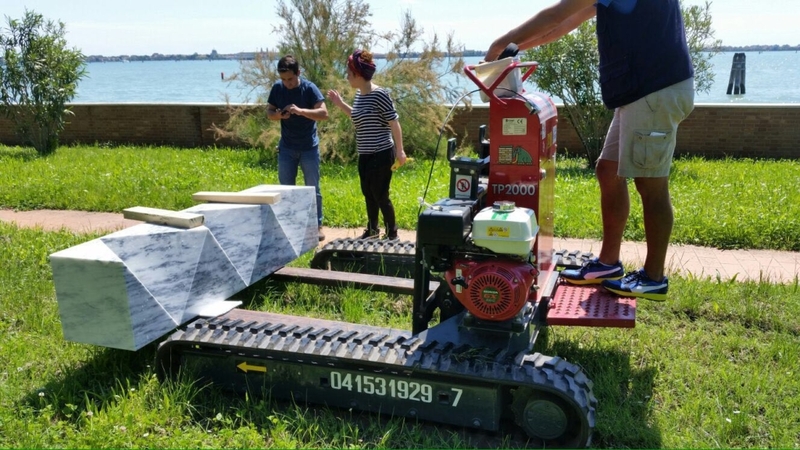 It’s a real novelty in the logistic sector where the pavements don’t exist, with precarious seabed, sandy or deeply sloping. 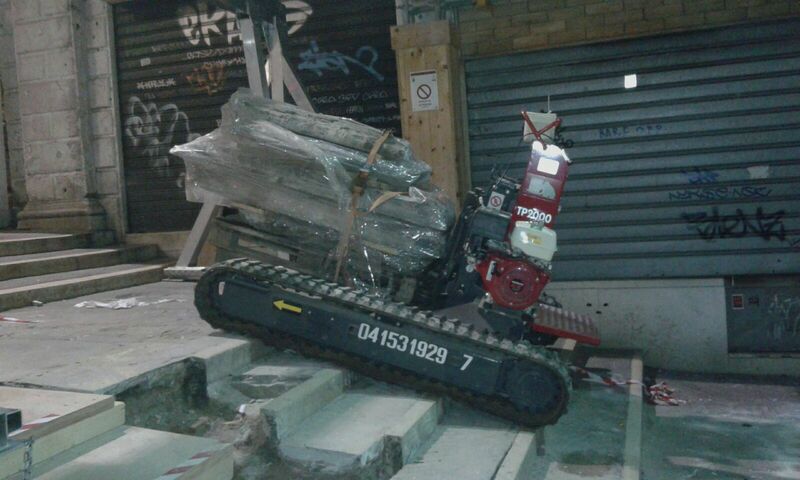 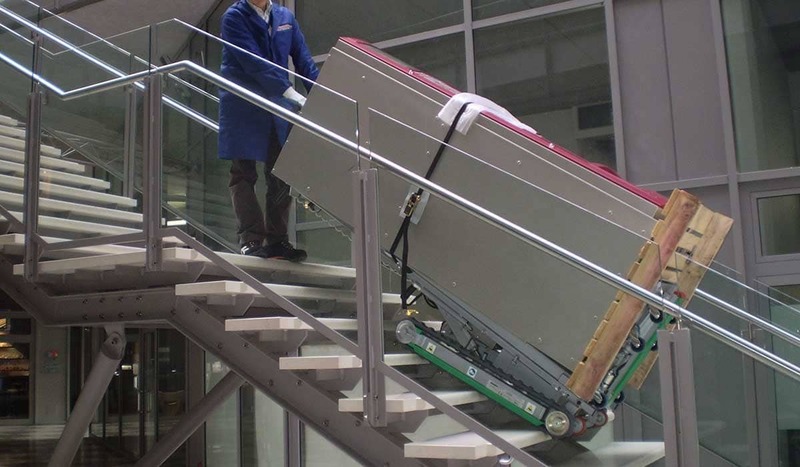 Tracked robot to climb the stairs with rubberised tracks to avoid damaging them. 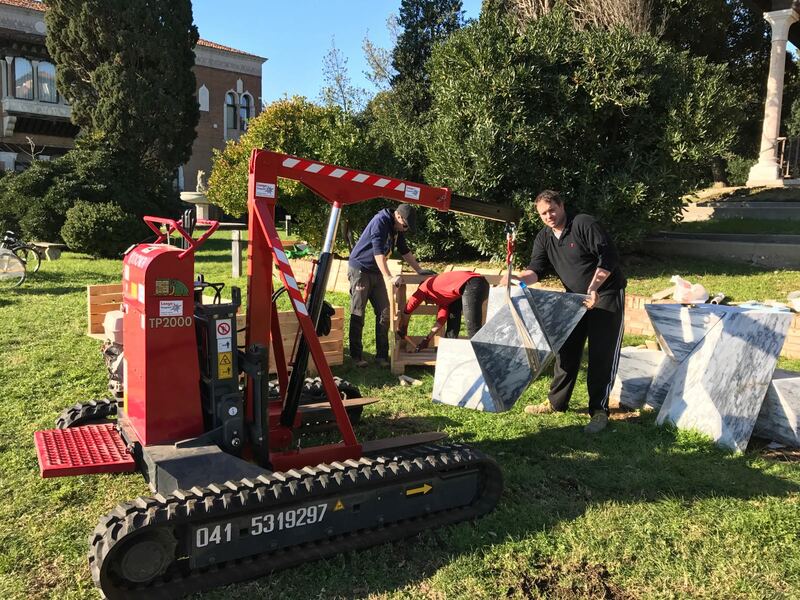 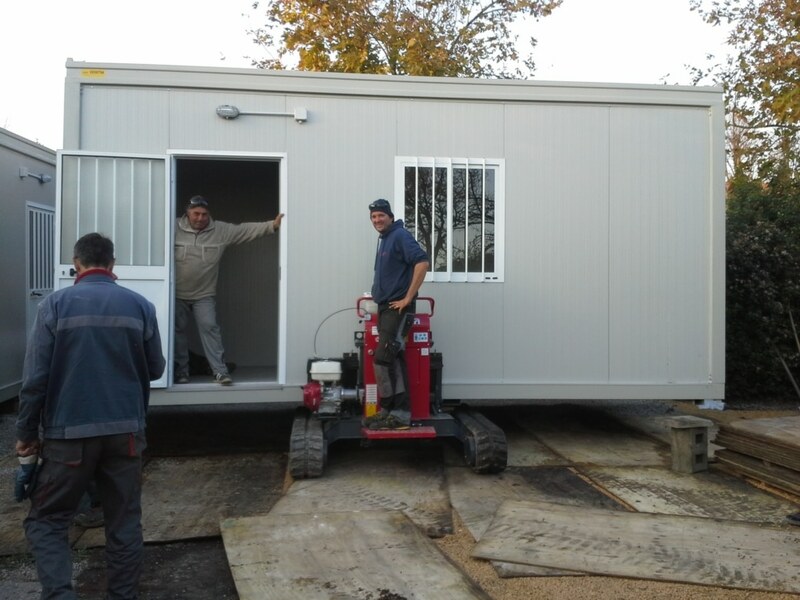 Up to 600 kg capacity. 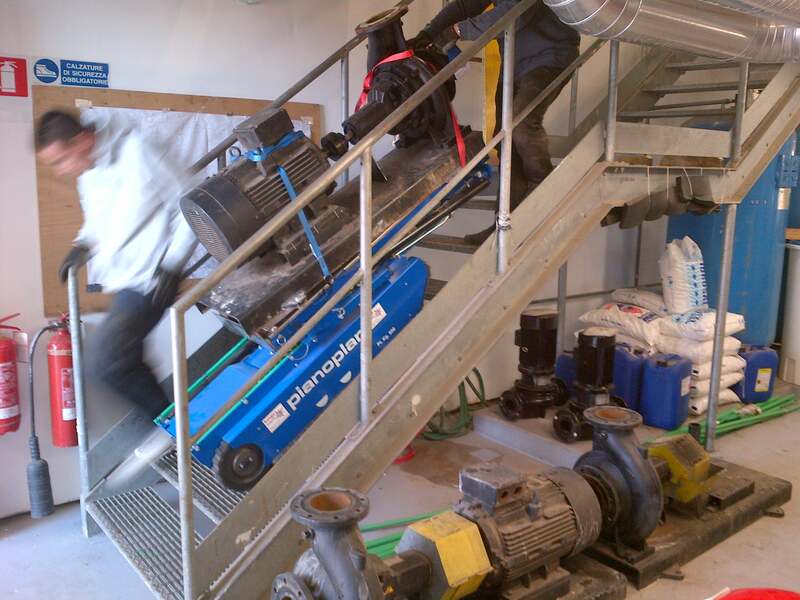 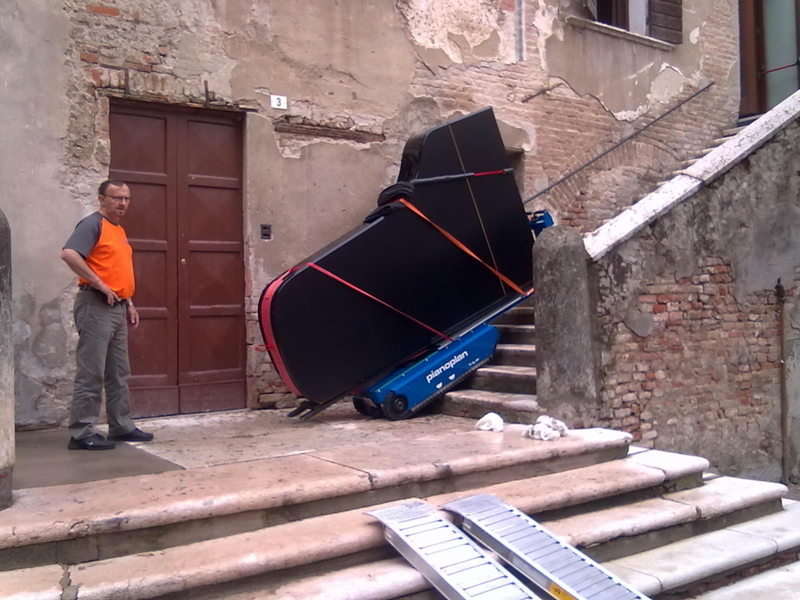 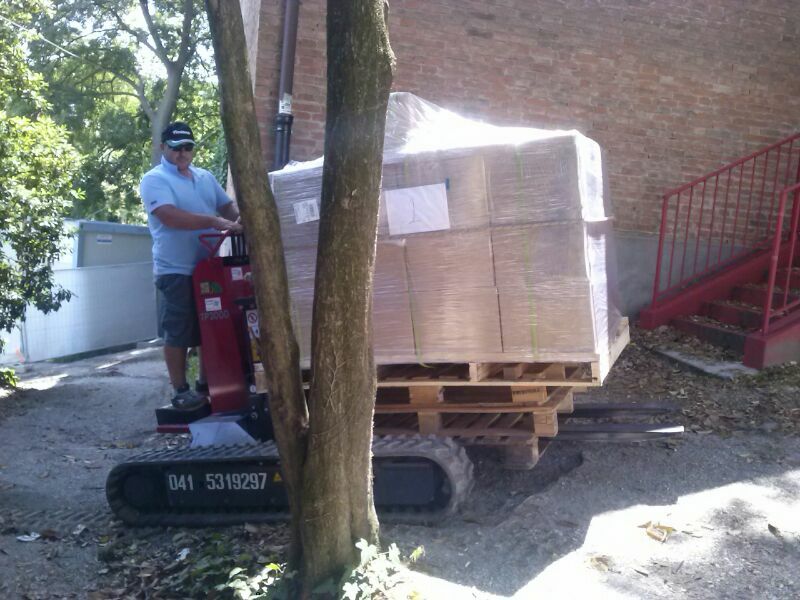 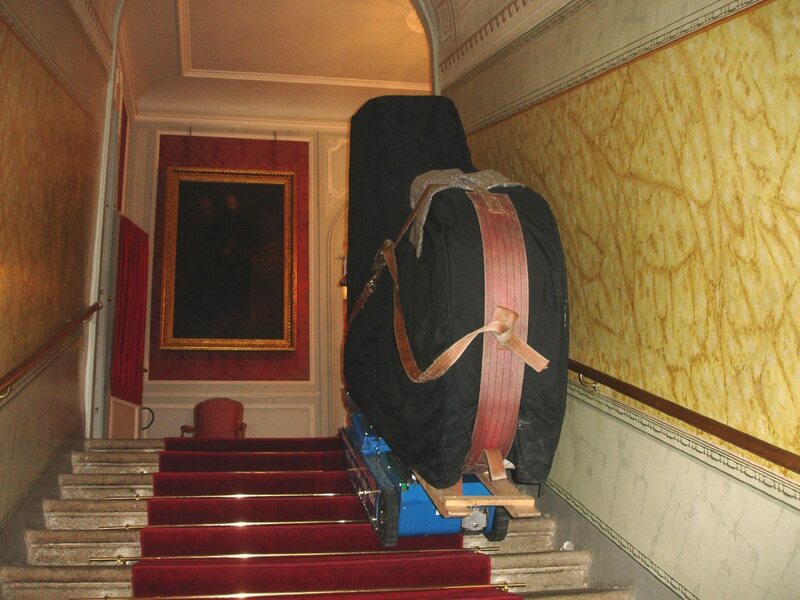 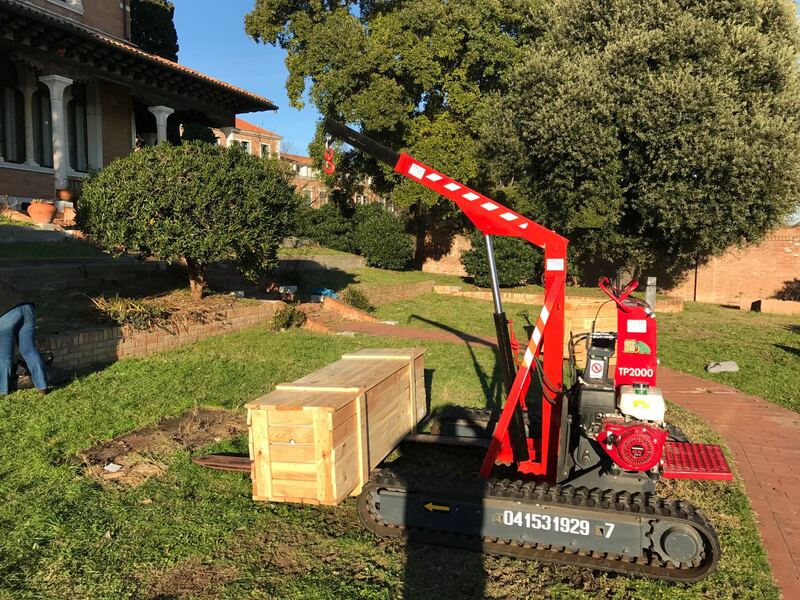 Initially conceived to transport pianos up the stairs, Pianoplan is today our essential partner to move heavy and voluminous loads. 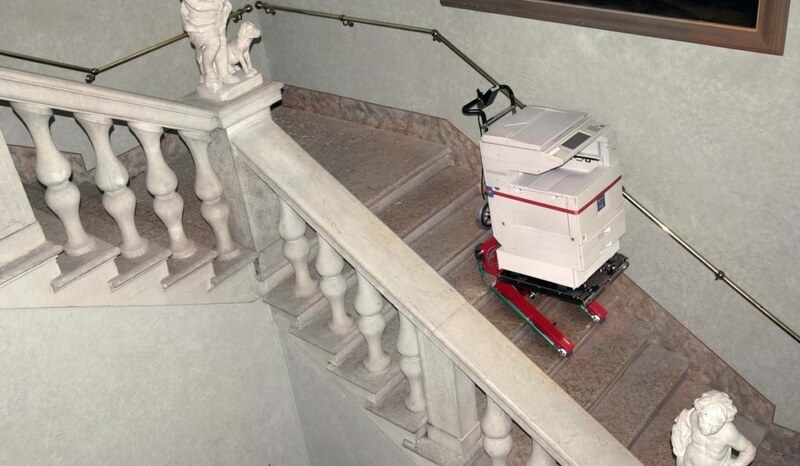 Tracked robot to climb the stairs with anti-trace rubberised tracks. 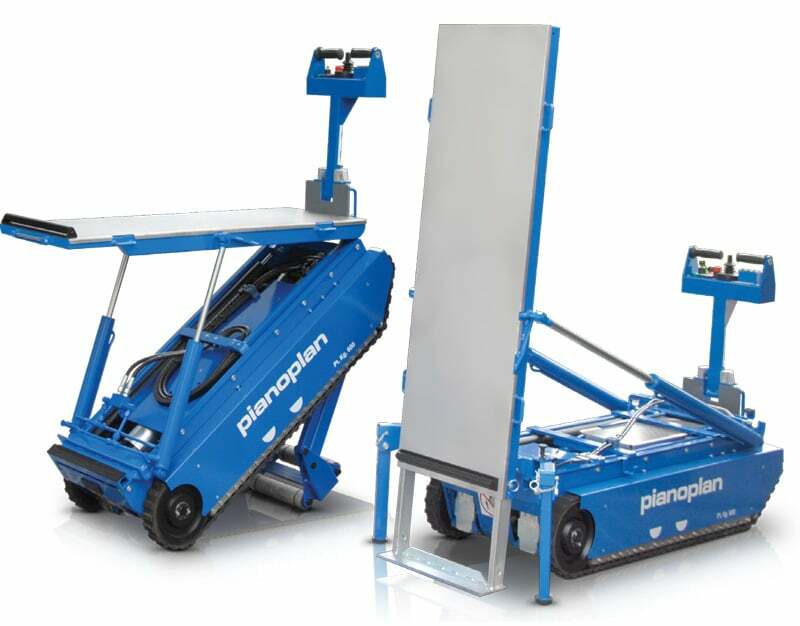 Up to 350 kg capacity. 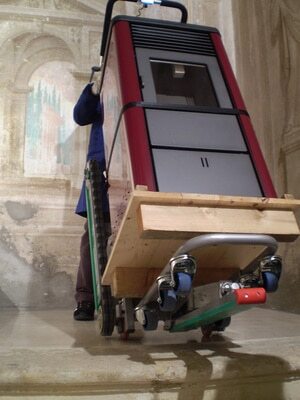 Conceived to transport goods that need to be kept vertically such as photocopier or fridge cabinets.